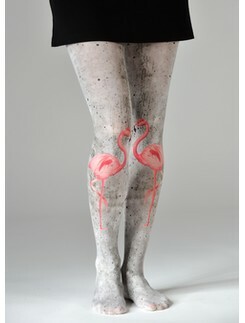 Dolci Calze are some of the finest Italian designer tights, stockings and leggings that come in a variety of designs. Dolci Calze turns any material and any pattern into a style highlight, including cuddly and soft cotton/wool blend winter tights enhanced with lovely openwork details, as well as precious lace stockings or graphic and floral patterned sheer tights. Quench your craving for fine Italian fashion here with Dolci Calze.